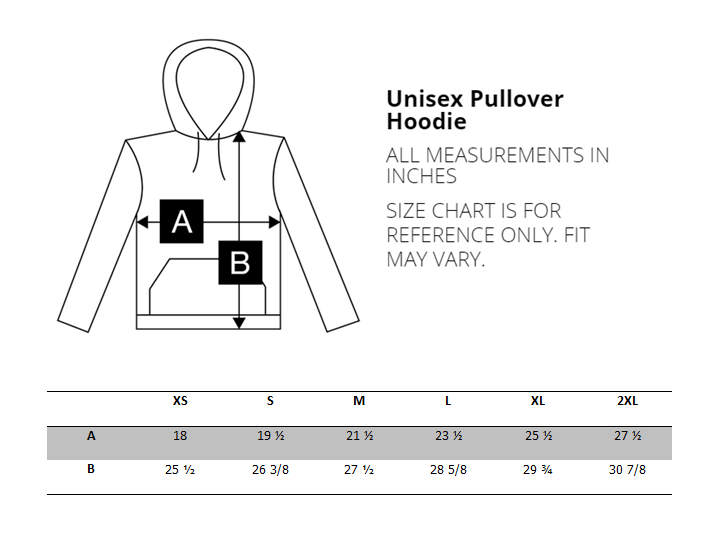 Printed on a soft and relaxed unisex athletic grey colored pullover hoodie, great for every day wear. Kangaroo pocket with ribbed cuffs and waistband. 90% combed and ring-spun cotton / 10% poly.